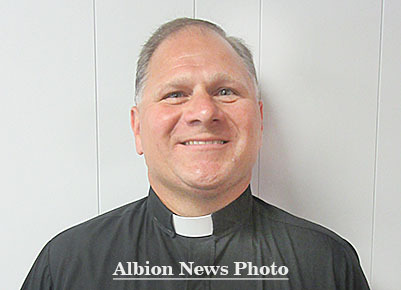 Father Mark Tomasiewicz has been serving St. Michael’s Catholic Parish, Albion, and St. John’s Catholic Parish, Petersburg, since July 1. He took over from Father Stan Schmit, who served the local parishes for the past 11 years and has now moved on to serve Sts. Peter & Paul and St. John Nepomucene Parishes at Howells. He is involved in Catholic education, and one of his duties here is to serve as pastor of St. Michael’s Grade School. Father Mark has wide experience in the Omaha Archdiocese after 25 years in the priesthood. Read more in the Aug. 3 Albion News and Petersburg Press Print & E-Editions.